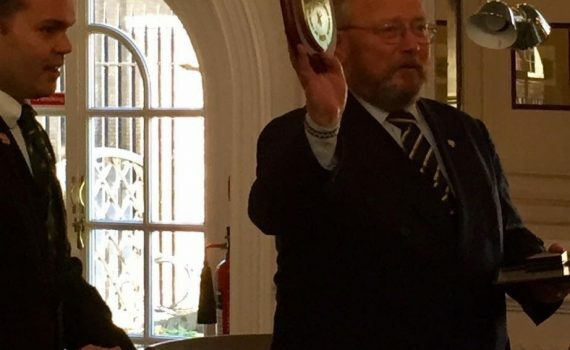 After attending the Carabiniers Boer War commemoration there was socialising with the resident Chelsea pensioners, and the opportunity to present John Rochester, Heritage Manager of Royal Hospital Chelsea, with the coveted SA Legion shield. John has been a strong supporter of our cause since day one, who himself was inspired by the strong historic link South Africans have with the hospital. It is rather fitting that a close relationship with the Royal Hospital Chelsea has been established – playing a pivotal role in the birth of the SA Legion UK – as this was the very venue which saw the laying up of the last South African veterans associations from the Great War, as they were handed over for safe-keeping by the last remaining survivors.